The weather has started to get warm , indicating the arrival of spring! I love this season because the temperature is perfect ! and it is time to wear bright colors! Being surrounded by beautiful flowers makes you wanna dress up in bright colors. 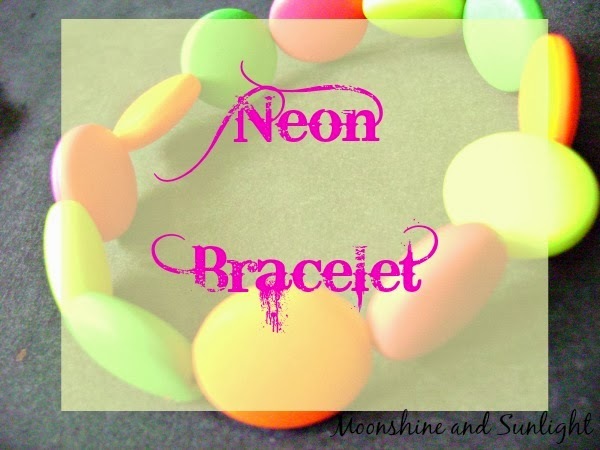 And if I have to think about the trend where we can sport very bright colors, then it would be the trend of neon colors. 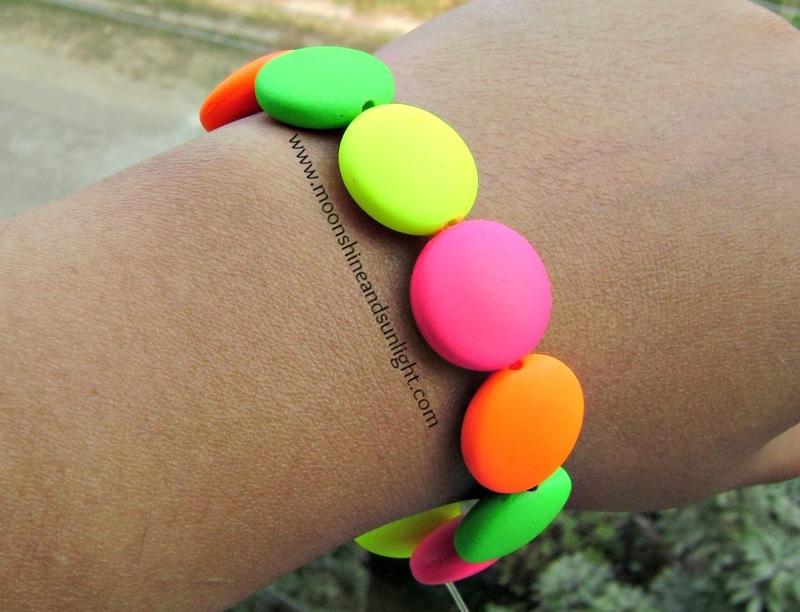 Be it clothes , accessories ,shoes and everything else almost we can see a pop of these bright colors :). 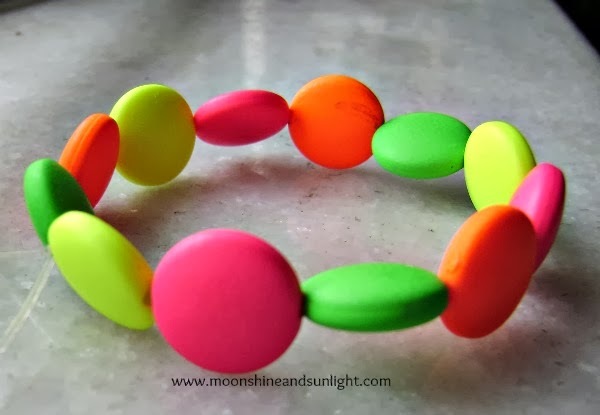 Making a bracelet out of these is very very easy , all you need to to is string these beads into clear elastic however like you want them to be ! 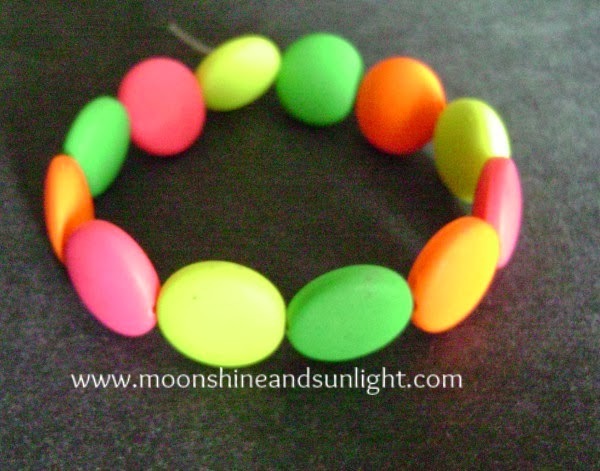 I have used 4 colors here neon yellow, neon green , neon pink and neon orange. 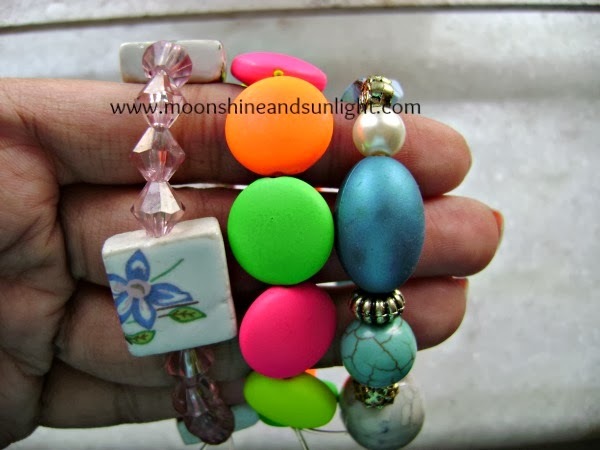 I recently made these two other bracelet along with this one :), Vintage floral bracelet and Mixed media blue bracelet. 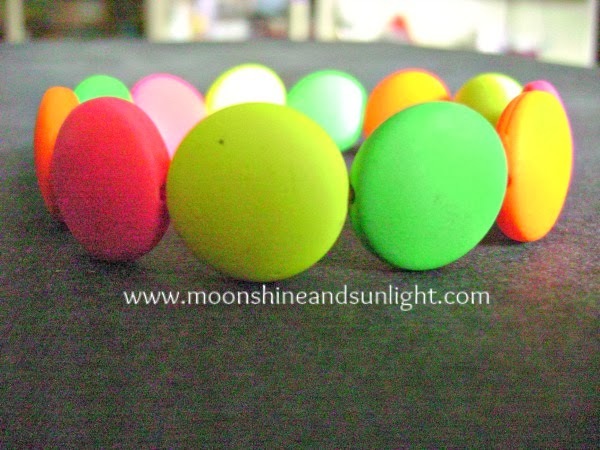 What colors are you going to sport this spring!?? 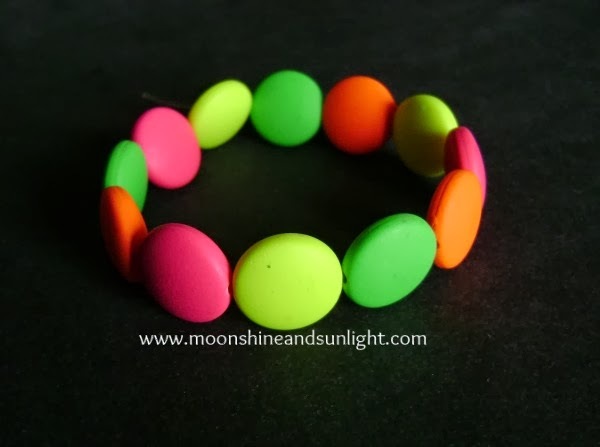 Do you like the bracelet ? ?